President Barack Obama announced Patricia “Pat” Summitt, former head coach and current head coach emeritus of the University of Tennessee’s women’s basketball team, as a recipient of the Presidential Medal of Freedom. The Medal of Freedom is the Nation’s highest civilian honor, presented to individuals who have made especially meritorious contributions to the security or national interests of the United States, to world peace, or to cultural or other significant public or private endeavors. In addition to accomplishing an outstanding career as the all-time winningest leader among all NCAA basketball coaches, Coach Summitt has taken Tennessee to more Final Four appearances than any other coach and has the second best record of NCAA Championships in basketball. 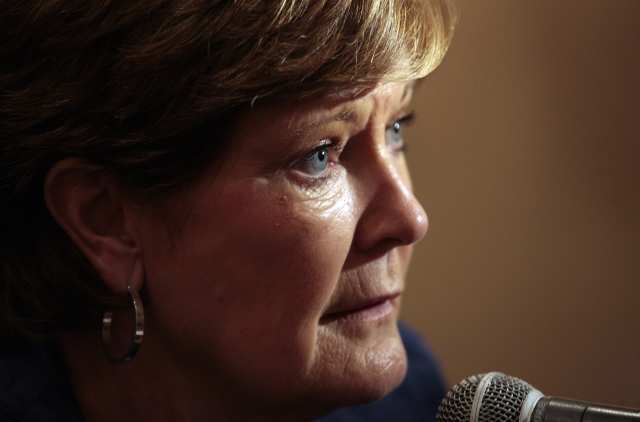 She has received numerous awards, including being named Naismith Women’s Collegiate Coach of the Century. As we approach the 40th anniversary of the signing of Title IX, Summitt’s remarkable career reflects her rightful place in history as an unparalleled figure in women’s team sports. Off the court, Pat’s work as a spokesperson in the fight against Alzheimer's through the Pat Summitt Foundation Fund is truly inspirational. The Pat Summitt Foundation will make grants to nonprofits to provide education and awareness, support to patients and families, and research to prevent, cure and ultimately eradicate early onset dementia, Alzheimer’s type. Coach Summitt was notified last week of the President’s decision to award her with the Nation’s highest civilian honor for her contributions both on and off the court. The remainder of the honorees selected by the President will be announced over the coming weeks and the awards will be presented at a White House ceremony later this year.